Kairong Mothey Gogol 13 Dec 2018 Language: Bengali - Gogol is all set for a trip to the picturesque Sikkim with his parents. Little does the young boy know, of the mystery that awaits him from the moment his trip begins. 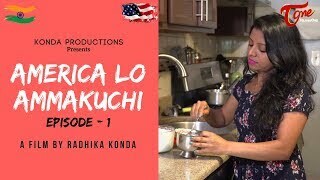 Ha Ja Ba Ra La 13 Dec 2018 Language: Bengali - Hoichoi Originals presents Ha Ja Ba Ra La. Be ready for a riot of laughter by Ambarish Bhattacharya, Abhimanyu Mukherjee, Saurav Palodhi, Ritabrata Dass & Shubhodip Ghosh. 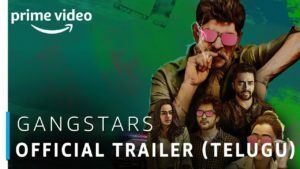 Gariahater Ganglords 13 Dec 2018 Language: Bengali - Buchku comes to Kolkata for higher studies, and starts staying with his cousin Jonny and his friend Bunty. Little does he know, that they are gangsters! Magic #hoyejak 13 Dec 2018 Language: Bengali - TC The Mentalist is here with his captivating skills of sorcery to leave you spellbound! 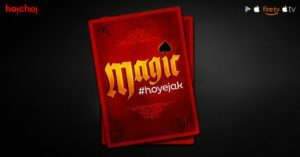 Hoichoi takes magic a notch higher, with its new show ‘Magic #hoyejak’! 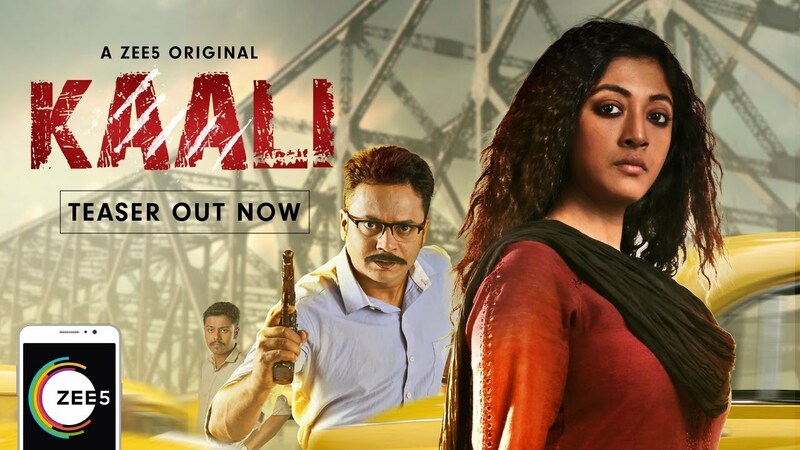 Kaali – New Bengali Web Series 13 Nov 2018 Language: Bengali - Kaali is a ZEE5 Original starring Paoli Dam. 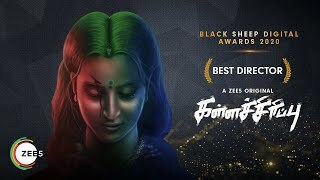 The hard-hitting story revolves around a helpless mother who is willing to go any extent to save her child. Choritroheen 29 Sep 2018 Language: Bengali - Hoichoi Originals presents “Charitraheen”, based on the novel by Sarat Chandra Chattopadhyay, with the twists and turns being much in sync with today’s world. 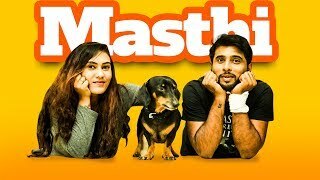 Mismatch 15 Sep 2018 Language: Bengali - Diana decides to add some spice in her life by indulging into a friendly couple swapping. Will things go as per plan? “Mismatch” is here to unlock the answers! 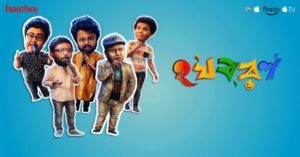 Bang Bang 1 Dec 2018 Language: Marathi - This is a story of 3 friends on their quest to get some bang bang for one of them !! 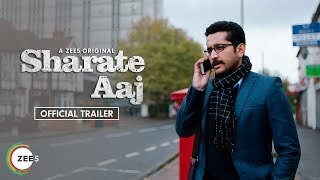 Oscarwadi 15 Jul 2018 Language: Marathi - नमस्कार …..मित्रांनो आज टीम ऑस्करवाडी घेऊन आलीये तुमच्या भेटीला एक नवीन वेबसरीज, यामध्ये आहेत गावाकडचे भन्नाट विषय आणि त्याचा हा पहिला प्रोमो…..
Horn Ok Please 23 Feb 2018 Language: Marathi - What happens when Sanskari meets Atyachari? Advik and Gayathri – both young and ambitious but poles apart with each other’s personalities. Destiny brought them together and now, with their new ‘live-in arrangement’ they decide not to come in each other’s way. But as we know, life always has its own plans. 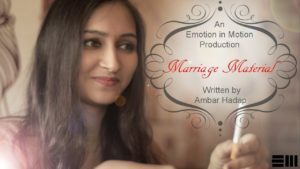 Marriage Material 9 Feb 2018 Language: Marathi - Join Sankalpa on her journey to find Mr.Perfect. 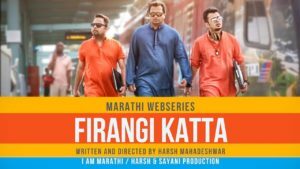 Firangi Katta 24 Nov 2017 Language: Marathi - GRE done ! TOEFL done ! College Acceptance done ! Visa Interview done ! Sid, Rudresh आणि Shabby त्यांची पहिली International flight घेऊन अमेरिकेला जायला तयार आहेत. 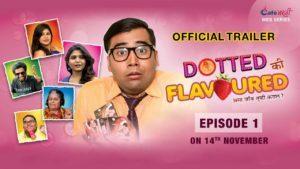 Dotted Or Flavoured 14 Nov 2017 Language: Marathi - CafeMarathi Presents the Official Trailer of its First Web Series – “Dotted Ki Flavoured”. 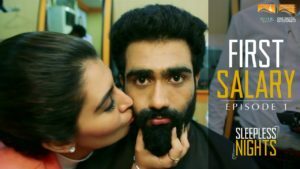 This is a funny story of Manish Pawar, an Engineering Graduate who gets a job as a Condom Sales Executive. Manish is confused whether he should take up the job or not. He doesnt’ know what should he tell his parents. 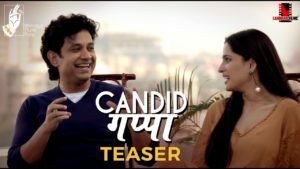 Candid Gappa 29 Sep 2017 Language: Marathi - BhaDiPa’s Marathi roundtable series featuring your favourite stars. 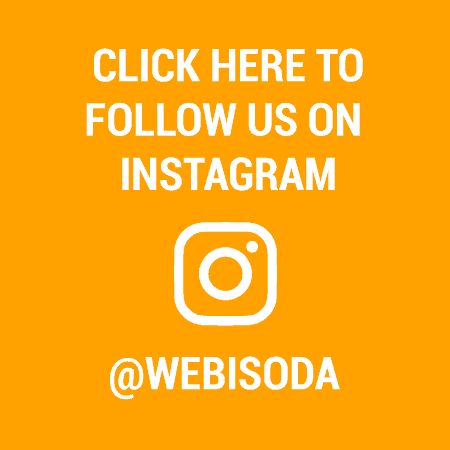 Watch them get as real, and as candid as possible! 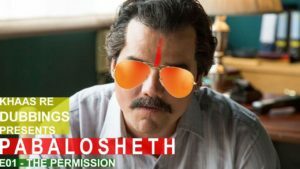 Episode coming soon! 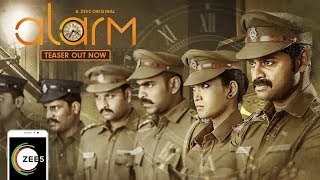 Alarm 18 Nov 2018 Language: Tamil - Alarm is a ZEE5 Tamil Original series starring Prem Kumar, Girija, Anjali Rao and Subadhra. This action thriller revolves around a cop who has 12 hours to save a kidnapped girl. The search leads to a massive crackdown on a prostitution ring in Chennai. 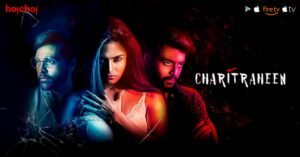 Madras Mansion 24 Jul 2018 Language: Tamil - Excitement is created when an Actress enters the mansion and the residents all want a picture with her. This turns out to be ploy by the caretaker to ensure that the people who haven’t paid the rent to give their actual details. 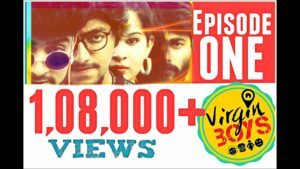 Virgin Pasanga – New Tamil Web series 4 Jun 2018 Language: Tamil - VIRGIN PASANGA – A couch play sitcom adult web series. EPISODE#1: Four working bachelors living in an apartment with their same routine boring life. Nisha a young beautiful girl shifts her place opposite to their flat. what do u think they will do??? 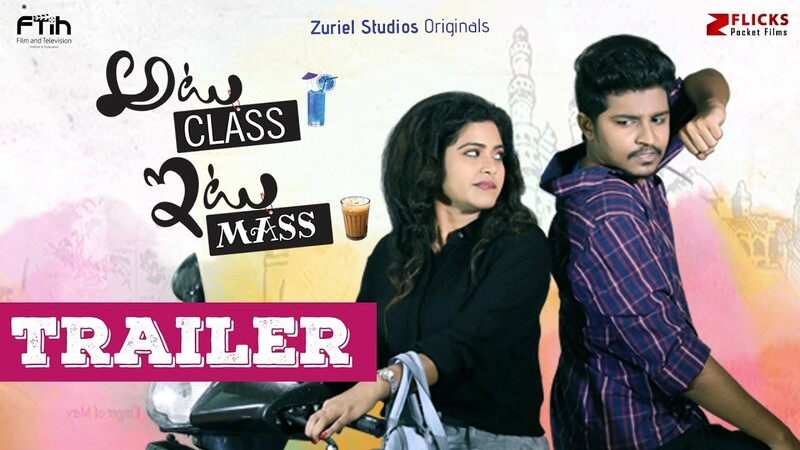 Atu Class Itu Mass 6 Nov 2018 Language: Telugu - Celebrate this Diwali with the fun comedy web series ‘ATU CLASS ITU MASS’ a Z FLICKS presentation, coming from trending YouTube director Ravi Ganjam. 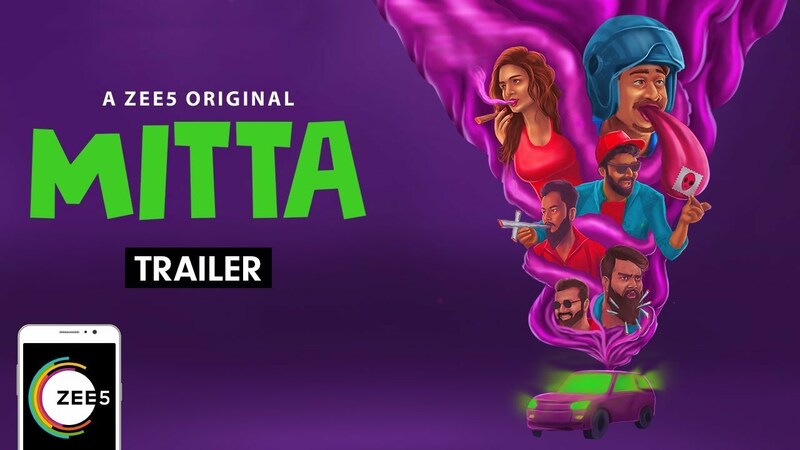 This is the second web series made possible by influential producer Swetha Katakam under the banner of Zuriel Studios and in association with FTIH. 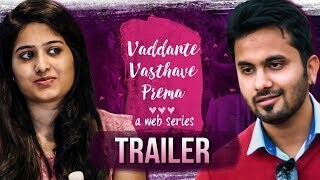 Vaddante Vasthave Prema 26 Jun 2018 Language: Telugu - “Vaddante Vasthave Prema” is a Telugu web-series which is completely shot in USA. It is the story about two guys who had some bad experiences with love in the past, come across the same again and how they overcome forms the rest of the story. 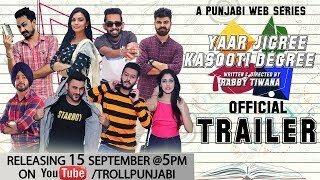 Yaar Jigree Kasooti Degree – Punjabi Web Series 15 Sep 2018 Language: Punjabi - Jass attends his first Lecture in his new College where he comes a cross a Group of Friends and starts a new chapter of his Life with them. Episodes will be available soon on upcoming Tv Channel Ptunes. 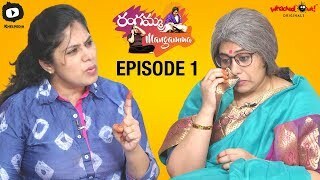 Megha alias Maggi 8 Jun 2018 Language: Kannada - This is an experimental promotional content for the movie “Megha alias Maggi” releasing on June 15th. 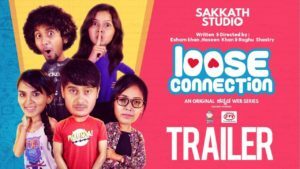 Loose Connection 2 Aug 2017 Language: Kannada - The story revolves around Monikanth aka MONI’s life 🙂 your career and ambitions your love life and your parents all three connections should be balanced and made more stronger so how does namma MONI tighten his loose connections ? Sleepless Nights 23 Dec 2016 Language: Punjabi - It’s a story which revolves around a young couple, Shefali and Bunny. 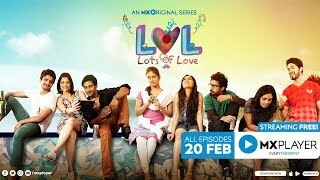 Starting from happy, loving, chirpy love birds, sadly the story turns into a nightmare.